We are a world leading cancer solution provider. Based in Taiwan, we also provide effective services through our offices in Singapore, Hong Kong and Japan. Joint by experts from the field of cancer biology, cancer genomics and bioinformatics, we provide optimal cancer treatment plan, cancer relapse and drug resistance monitoring as well as cancer risk assessment and immunotherapy evaluation. We are dedicated to provide every cancer patient personalized genomic information based-treatment plans through our cutting-edge Next Generation Sequencing (NGS) platform, medical report and integrated services. We provide precise cancer genetic variants detection through minimum tumor samples through our ultra-sensitive NGS Platform. We are recognized and certified by the highest international standard CAP (NGS) accreditation, SNQ and more. We are strengthened by dozens of bioinformatics and biomedical professionals. We engage from every angle, preliminary research collaboration, international biopharma drug development, clinicians consultation and patient education. We deliver medical reports with genetic variants information, therapeutic implications and also provide comprehensive consultation services to empower physicians with evidence based-precise information. To rewrite the existing model of cancer diagnostic, cancer treatment and cancer monitoring. Make Cancer Manageable. Cancer is the second leading cause of death and estimated with 70% increase of newly diagnosed cases. Asia’s cancer death rate is higher than developed countries for delayed diagnosis and lack of treatment options (WHO 2017.2). 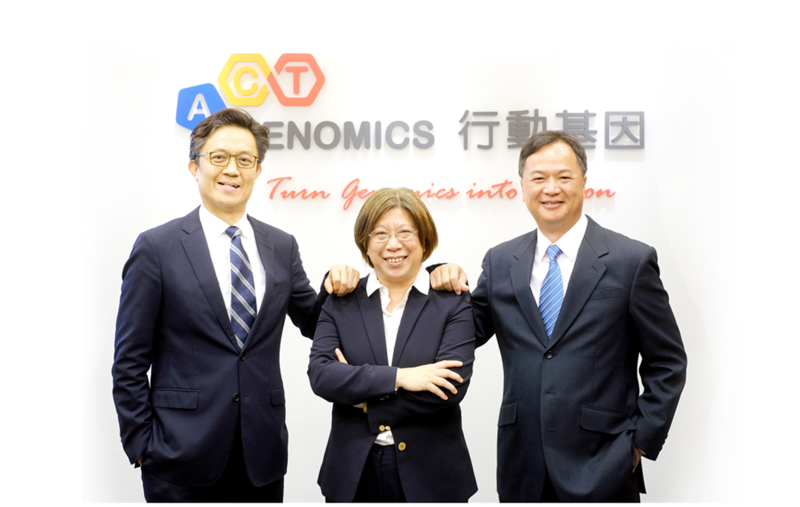 Many of our people here at ACT Genomics are driven to make a difference in this battle with cancer by the experience of facing cancer at close range. Every one of us are devoted to this fight against cancer. As a molecular information provider, we highly value our people. We know that the key to success is to use our passion to make a difference in the world. Therefore, we encourage our people to take initiative at every single step, to benefit our cancer patients and to improve ourselves every day. We help each other to grow and inspire each other for more innovative ideas. Together as a family, we are fearless. Dream big and take action, we never fight alone!